It took me 16 days to finish this novel, and I'm so happy it took that long. Seriously, I wouldn't have enjoyed it otherwise; each chapter was worthy to be savored like an ice cream cone in a hot summer day. I've been on a fantasy binge since April, and this novel was a great way to satiate my literary hunger. I became quite attached to the protagonists, who were basically the epitomes of selflessness. Throughout the story, both Lorelai and Kol never hesitated to sacrifice their happiness and well-being for the sake of their respective kingdoms which were on the verge of destruction. I also enjoyed the sweet and innocent romance between them, although I thought it was practically a minor addition to the plot. I really admired how Lorelai and Kol did not allow their physical desires to cloud their judgement or jumble their priorities. 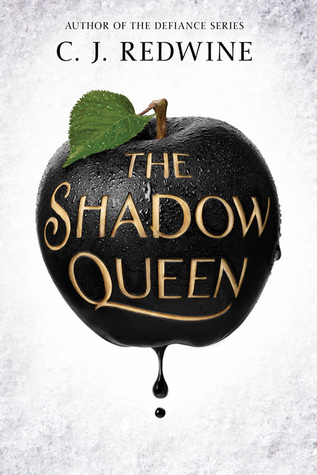 Sign into Goodreads to see if any of your friends have read The Shadow Queen.